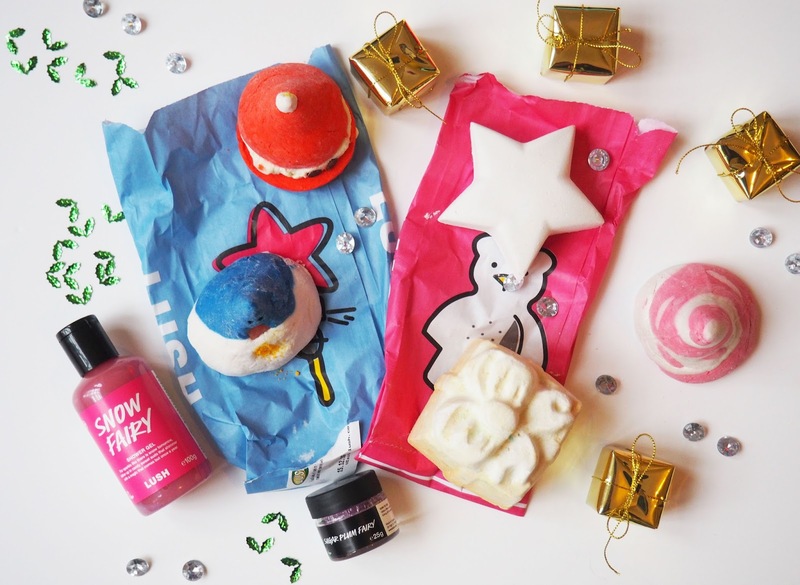 Jasmine Marie Beauty: Lush Christmas haul! Lush has a very special place in my heart, especially at Christmas as the range is always amazing. They bring back products that I wait all year for and bring out some newbies too, I love to go in and stock up on the treats. They'll all be off the shelves as soon as Christmas gets here so if you fancy trying any of these out you need to get yourself to a Lush pronto. Here are some of the lovely things I picked up on my recent visit- I dare say I'll be in there again this week! I always get at least one bubble bar but as the Christmas ones are just so damn cute I decided to get three, its a totally logical decision I know. For anyone who hasn't tried these out before you basically break a bit off and hold it under the tap and watch as they create masses of bubbles. I can normally get two or three baths out of one of these things too so they're pretty good value. Candy Mountain will be well known to you Lush lovers out there, its a pink and white, glittery, vanilla smelling joy! The Christmas Penguin is almost too cute to use, look at his little face... he's refreshing and zingy. I love this little guy. 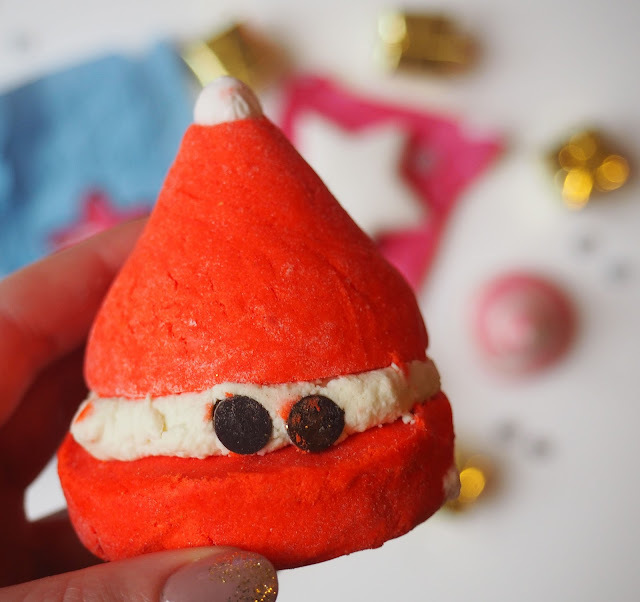 I've not tried Peeping Santa before but I know its going to be super moisturising as it contains shea butter so this will be perfect for rescuing dry skin. 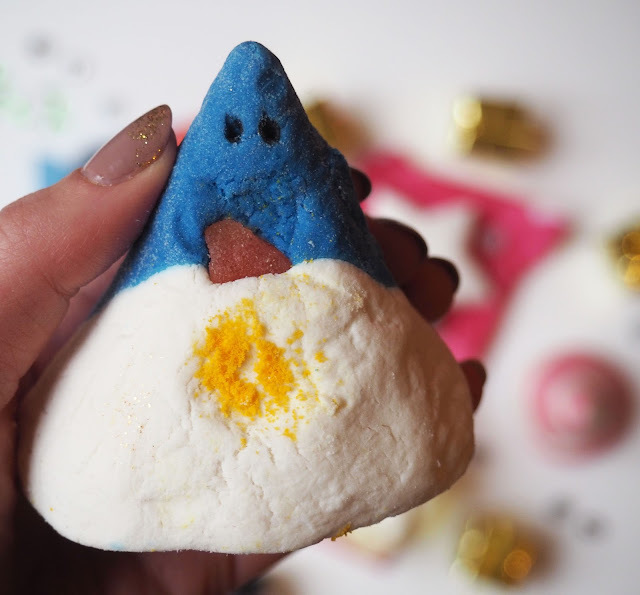 I grabbed a couple of bath bombs as I just can't leave without any, they always turn the water such vibrant colours and usually have a little surprise in them too so testing out a new one is fun. Star Dust is new to me but I believe it turns the water a blue/ turquoise colour and contains lots of tiny little stars. It's vanilla scented again but definitely not as sweet as Candy Mountain so if you find that too overpowering then this would be a good alternative. 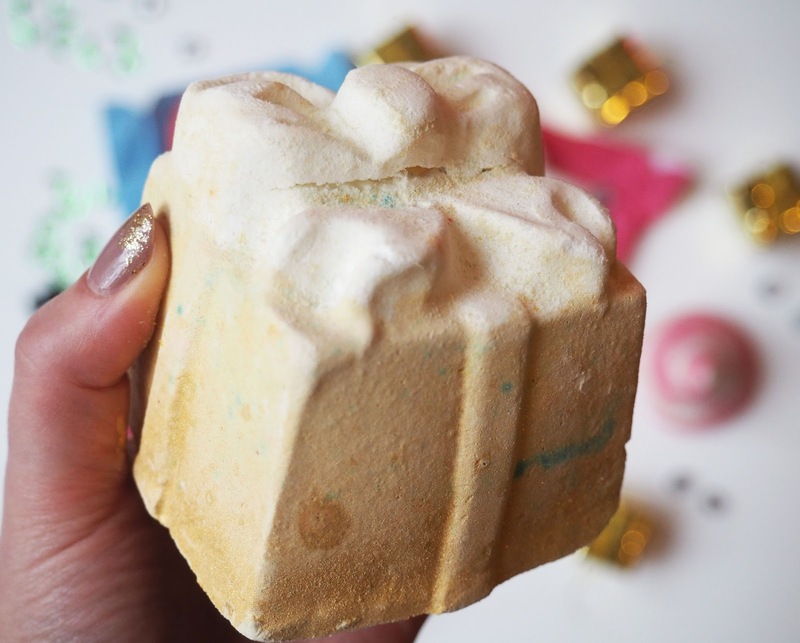 Golden Wonder is my absolute favourite product from Lush, I usually buy loads of these at Christmas to get my fix. It's shaped like a gold present with a big white bow on the top and has a citrus/ fruity scent. It makes the water the most stunning teal shade with gold glitter running through it. I'll be treating myself to this on Christmas Eve night- rock and roll I know! 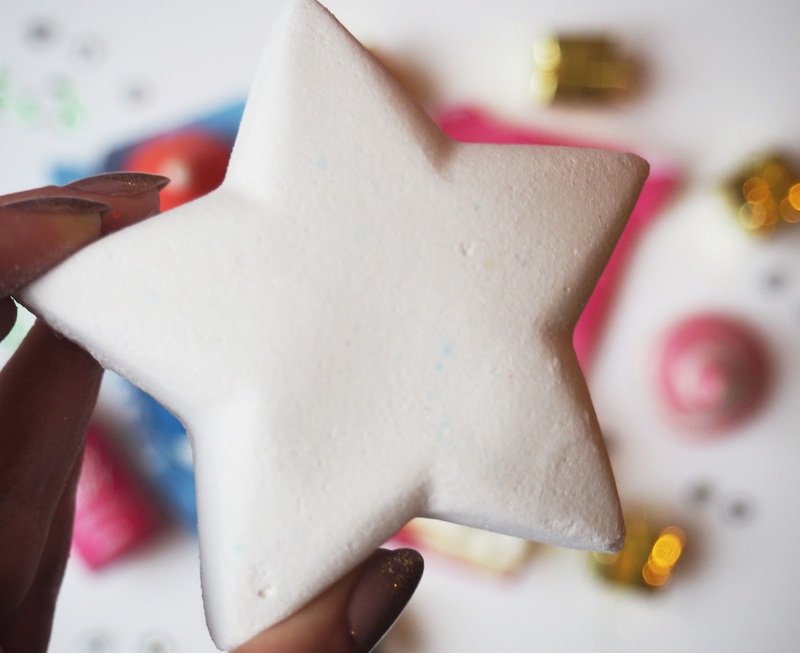 Snow Fairy shower gel is another product that Lush is kind of famous for at Christmas, I just picked up the small bottle as I thought it would come in handy for travelling but they do absolutely huge bottles too so you can really stock up. It's a pretty pink shade with a silver shimmer and smells similar to the Candy Mountain Bubble Bar so if you like that then give this a go. I use the Lush lip scrubs every single day as part of my skin care routine and as mine was running low I opted for a festive one this time. 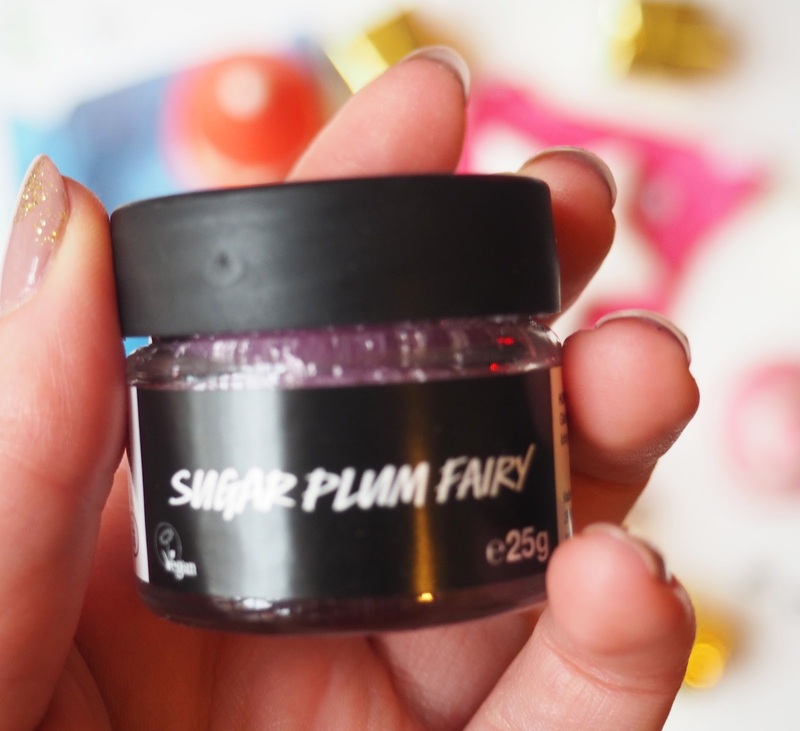 They actually do a few different ones at Christmas but I picked out Sugar Plum Fairy as I haven't seen it before and its very sweet smelling so right up my street. Of course part of the appeal of these scrubs is that they taste so bloody good too. 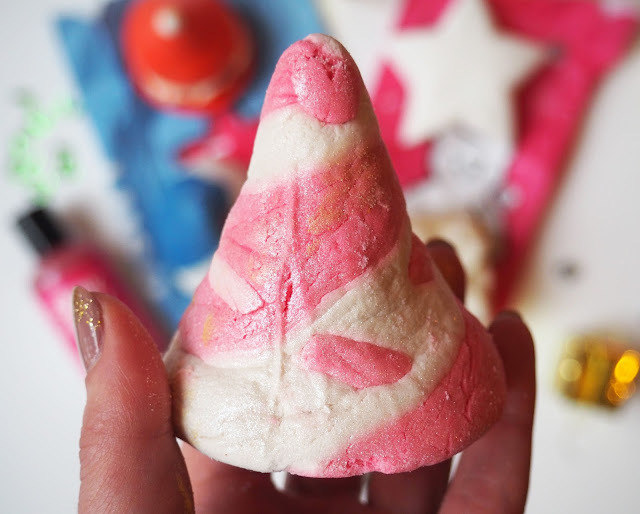 What do you guys love to get from Lush at Christmas? If I haven't tried it out then I really need to, please leave me your recommendations. Enjoy the run up to Christmas! !